“Captain” Joe Bowman, Houston, Texas, was known as "one of the fastest guns alive". He traveled the world showing the art and the skill of the fast draw and trick shooting. 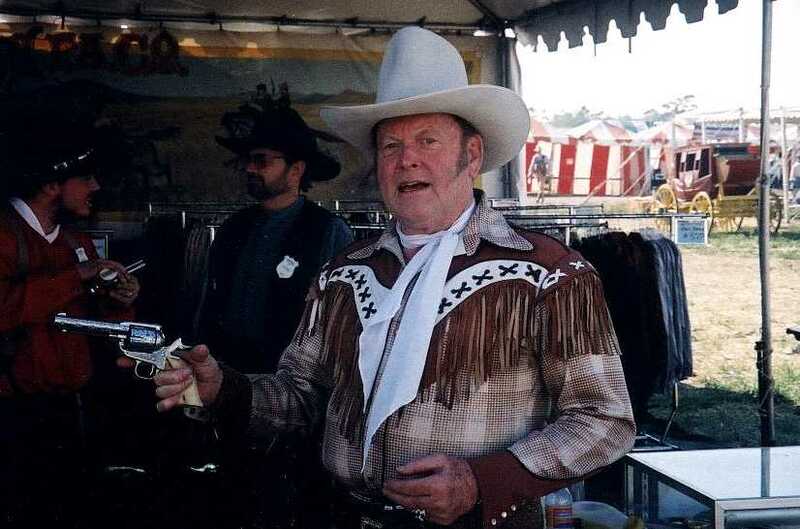 Joe devoted his time to working with youth groups, the FBI and the Texas Rangers, and other law enforcement agencies, with their gun handling proficiency. Bowman was given the honorary rank of "Captain" by the Former Texas Rangers' Foundation. He worked with many movie legends and in the film industry as both a technical director and an actor, Joe Bowman earned the title of being a "Texas Straight Shooter".